PAX BRITANNIA: Happy Birthday, Mr Wells! 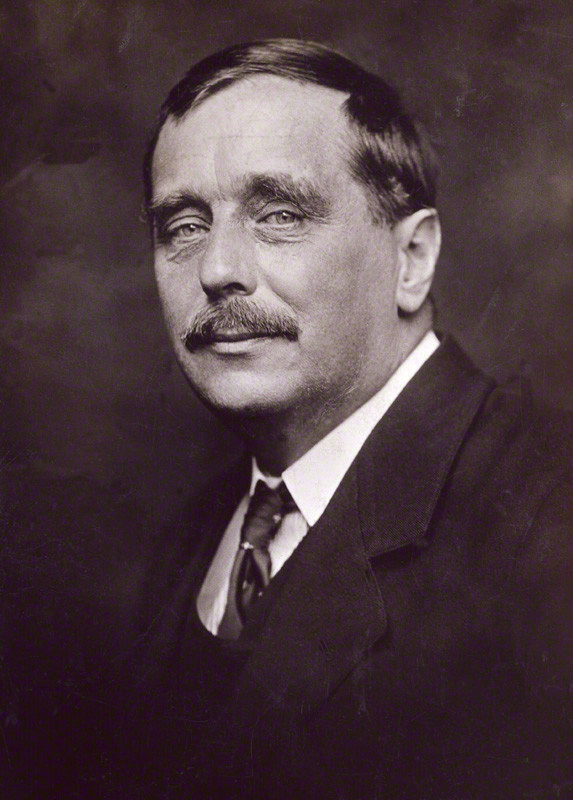 Today marks the 150th anniversary of the birth of the British Father of Science Fiction, Herbert George Wells. Wells is, of course, most well known, in the modern era, for his novels The Time Machine (1895) and The War of the Worlds (1898). Wells' original stories have been adapted time and time again, and have inspired countless other tales, including my own. I have an idea for a spin-off from The War of the Worlds that I would like to start work on in the next year or two, but The Time Machine has already massively influenced an already published work of mine - or should I say works? What started off as a fun idea for a one-off short story expanding the world of Pax Britannia, back in 2008, ended up becoming the core element of trio of Ulysses Quicksilver novels - Dark Side (2010), Anno Frankenstein (2011) and Time's Arrow (2012). I hadn't realised just how much The Time Machine had influenced Anno Frakenstein in particular until I re-watched the 2002 movie version recently, as I introduced it to my children for the first time. My Wellsian celebrations will continue today with Jeff Wayne's musical version of The War of the Worlds on today's playlist, and possibly a viewing of the 2005 movie adaptation later this evening. If you happen to be the Woking area today, watch the skies!